Haven't we all had experiences of attending parties or some kind of program which could have had some kind of entertainment - probably music, dance or a magic show in a birthday party or entertainment of any other kind, but didn't have one? Here is something you might want to remember the next time you host a program and wish to not miss the entertainment! It was when Saradhi Babu Rasala, the founder of YK software Solutions Pvt Ltd, attended a party and found no entertaining aspect at all, he realized that there was a huge requirement of entertainment services. When he thought deeper, he realized there are hundreds of thousands of talents who do not have opportunities to showcase their talents. He decided to club them both and make way for better events to take place. Thus was the emergence of Yuktha Entertainment Services. Rasala is the man behind YK Innosoft Technologies and eTravel Smart. 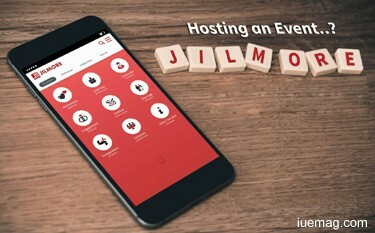 Currently Yukta Entertainment Services, through its applications - jilmore.com that provides services to book artists, performers and celebrities for any event, and gig.jilmore.com which offers opportunity to artists and allows him/her to register online, whose profile will be showcased on the site for those who wish to book for artists from the particular industry. People looking for Entertainment Services for any Corporate Event, Personal or family parties like Birthday, Anniversary, Engagement, Marriage and others can find their favourite celebrities - artists, makeup artists, singers, dancers, musicians, magicians, all types of bands, DJs, VJs, and many more online. Although there weren’t problem with investments due to profits from the earlier ventures, to be able to convince the artists to register to the platform was definitely not an easy task when people were not sure if it would really fetch them opportunities. On the other hand, convincing celebrities to join hands is of course, a harder part of the journey. But not giving up at those moments when things didn’t work and still moving ahead with conviction led Saradhi to grow higher in building the business. Currently, Yukta Entertainment Services has more than 600 artists registered, including anchors, musicians, dancers, magicians, DJs, make-up artists, photographers and many others. In the last two years of inception, the team has been able to help create the fun aura at more than 500 events in and around Hyderabad and Bangalore.